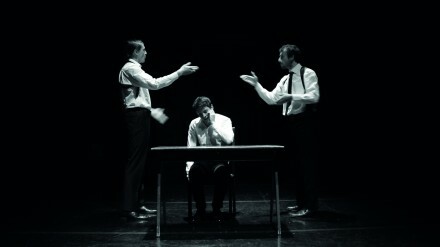 Harold Pinter’s The Dumb Waiter is not what you’d call a light play. As the curtain drops, you are left in stunned silence, unsure about how you feel about the events that have unfolded over the last hour. It’s a playwright at his most sinister. I have never naturally felt the same mix of fatigue, relief, adrenaline and ecstasy that I have felt as the curtain comes down on a show.